Most pre-school children learn to recite numbers, to count a small number of objects correctly and to recognise figures. And yet many of those same children have difficulties starting Mathematics at school. They follow the rules without understanding them. For these children actions with numbers are some kind of witchcraft. If you are lucky your actions will lead to an answer that coincides with the one the teacher expects. Generally speaking, difficulties are not the result of poor counting skills, but a consequence of not understanding the most basic (but also the most fundamental) mathematical relationships. It is important not just to teach young children to count but to help them develop an understanding of what number is, to help them develop an understanding of the reality hidden behind the number labels and the counting procedure. And that is why – contrary to all intuition perhaps – we need to start not with number labels and counting but with the relationships themselves. A number is not a label/symbol but a relationship between an idea (the unit of quantification/measure) and an object (what is quantified/measured). For example, the number of things in a group depends on your unit of measurement. When we look at a group of butterflies, we might count 3 butterflies or 6 wings. Similarly, when we need to measure the volume of water in a jug the answer we get (3, or 6, or 24) depends on the measure we choose (3 bottles full, or 6 cups full or 24 tablespoons…..) There must be a correspondence between the number we count and whatever it is we intend to measure. If we can help children to understand this we will lay a secure foundation for later mathematical development. Of course in this case, as in many other cases, you cannot just pour the required understanding into the child’s head. Simply explaining what a number is will not help. Many adults – even those with a confident and competent but unspoken understanding – would struggle to put their understanding into words. 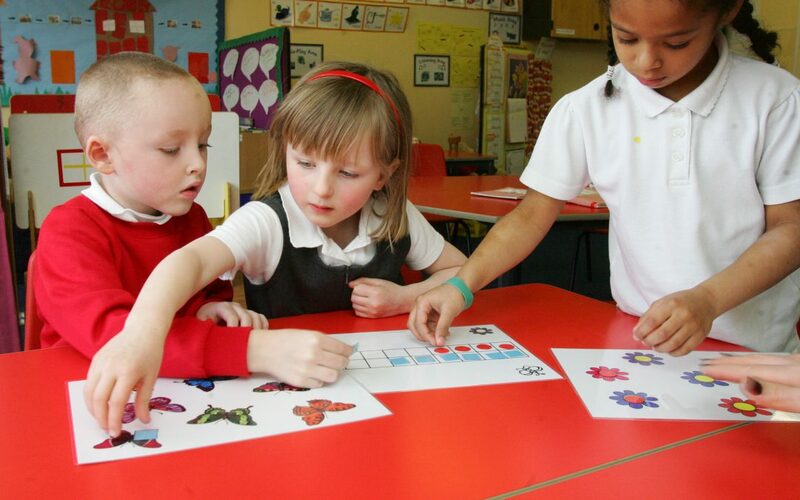 Children can only develop and assimilate a secure understanding of fundamental mathematical relationships as a result of practical activity and discussion aimed at helping them to achieve this. The Mathematics module from the Key to Learning program uses visual models and external mediators to provide activities that allow young children to “see” the hidden and invisible relationships for themselves. This is why Key to Learning graduates excel in Mathematics, as well as in all other learning areas. The hugely popular Key to Learning curriculum is based on 46+ years of research and practice by 12 distinguished developmental psychologists and educationalists.